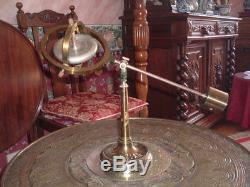 Large period Gyroscope on stand with beam and brass counter weight. This is a large eye catching piece measuring 17" long and 9" from base to pivot. Great desk piece as it moves around gracefully when nudged. 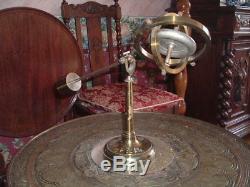 The item "Large antique Gyroscope on stand" is in sale since Wednesday, August 8, 2018. This item is in the category "Antiques\Science/Medicine\Scientific Instruments". The seller is "palino55" and is located in Hornchurch. This item can be shipped worldwide.